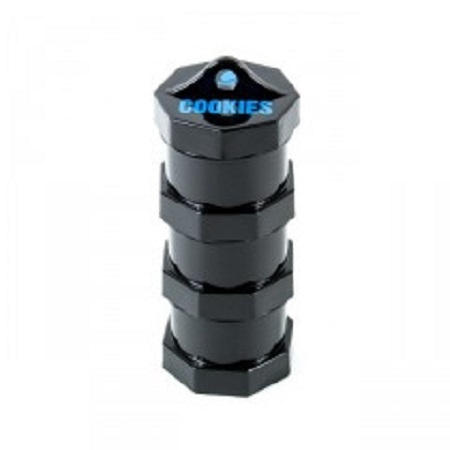 The Cookies Storage Jar in the Small size comes with a top lid that has a convenient hole to either thread or clip the jar to your bag or to make a handle. Cookies Storage Jar Small: The Cookies Storage Jar in the Small size comes with a top lid that has a convenient hole to either thread or clip the jar to your bag or to make a handle. There are 3 separate compartments that can screw off and on and inside each compartment is a silicone lining that can be removed.